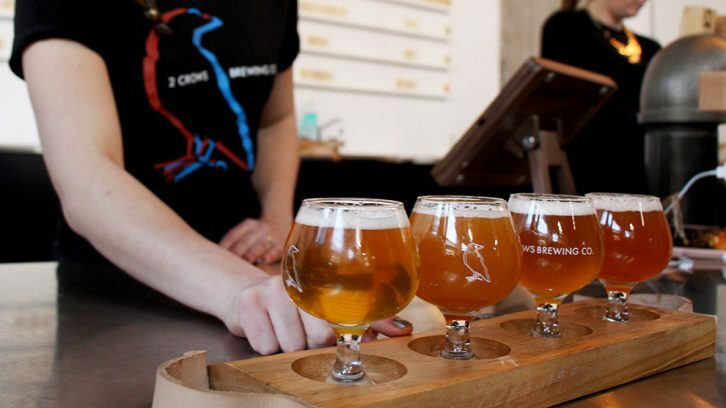 The craft beer scene continues to flourish as another brewery takes flight in downtown Halifax. 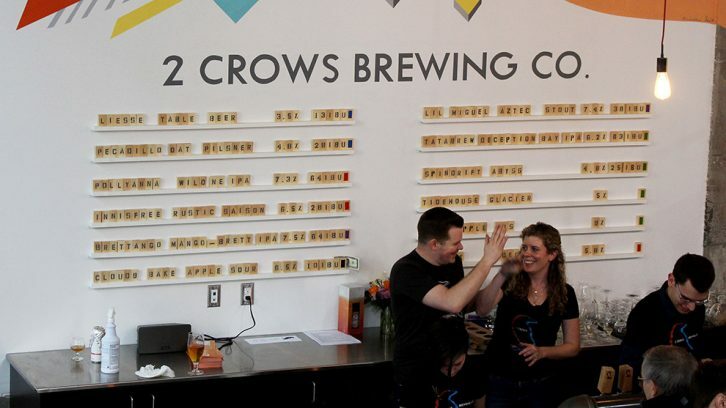 2 Crows Brewing, the brainchild of husband and wife Mark and Kelly Huizink and brewer Jeremy Taylor, hopes to get people thinking about craftsmanship and the characteristics that make great beer, great. 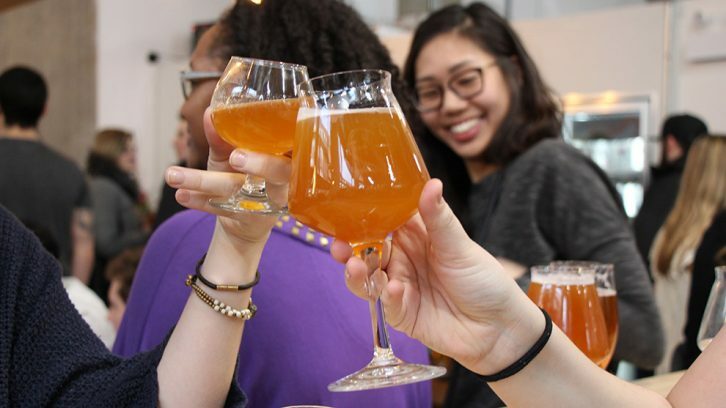 The morning before they opened, Taylor received requests from bars like Stillwell, Stubborn Goat, Good Robot and Battery Park, asking for kegs to serve at their businesses. 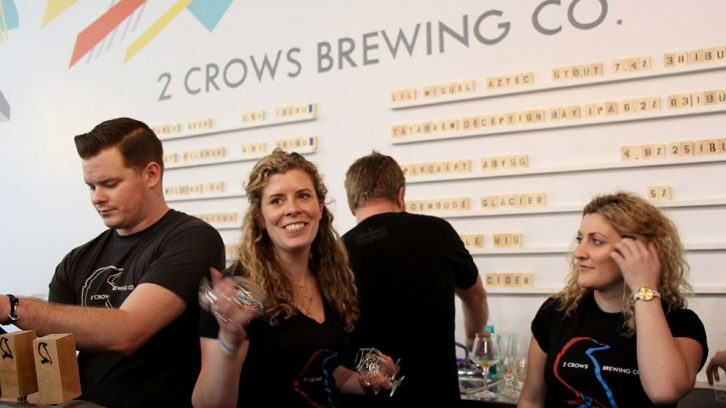 Taylor says Halifax’s appetite for craft beer doesn’t seem to be slowing anytime soon. He hopes to use this to his advantage. 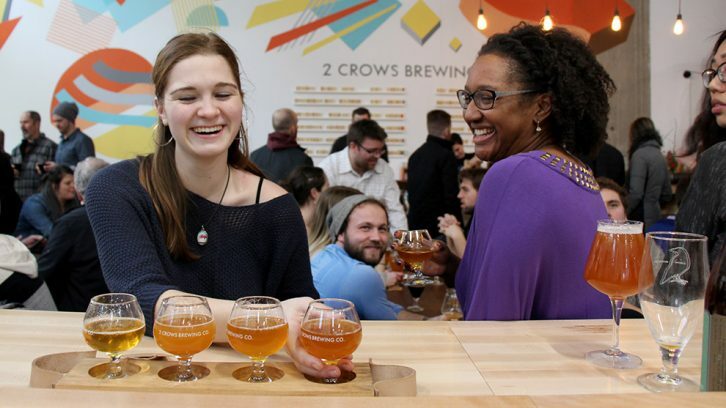 At an opening event for the public on Saturday, the industrial, open-concept brewery and tasting room was overflowing with curious customers, beer nerds and industry professionals. People packed the venue from the minute doors opened at noon — and the beer didn’t stop flowing until well after dark. So far the brewery has three official beers that Taylor believes reaches a variety of tastes, and he’s already started experimenting with different seasonal styles as well. 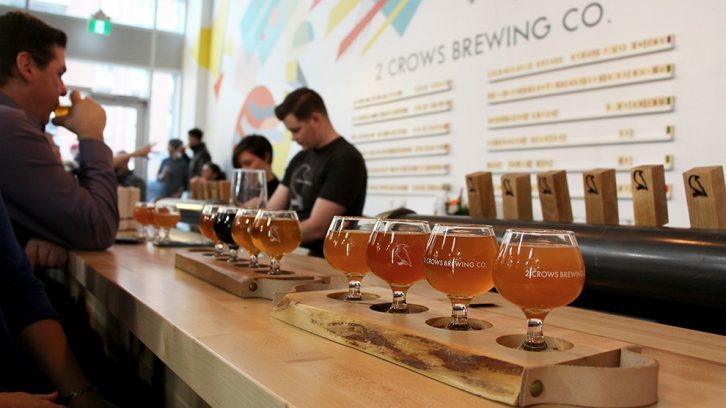 Along with its main selection, 2 Crows has a mango-infused beer, a sour beer and a stout on tap. Andrew Connell, one of the owners at Stillwell, says when compared with other provinces, Nova Scotia doesn’t have half as many breweries. As a beer bar that specializes in serving local craft beer, Connell is always excited when a new brewery pops up. Stillwell picked up three different kegs of 2 Crows beer to put on tap later this week. 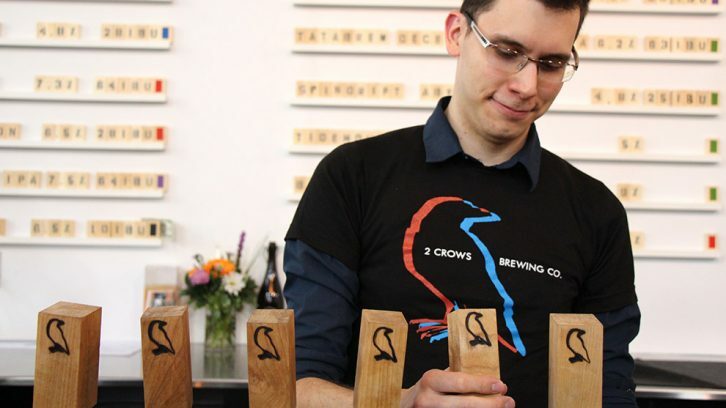 Nestled on the north side of Brunswick Street, 2 Crows Brewing provides an opportunity for customers to experience the brewing process, while sipping on a beer. The 23-foot ceilings are complimented with bright lighting, light wood tables and a colourful mural that spans across the left-hand wall. 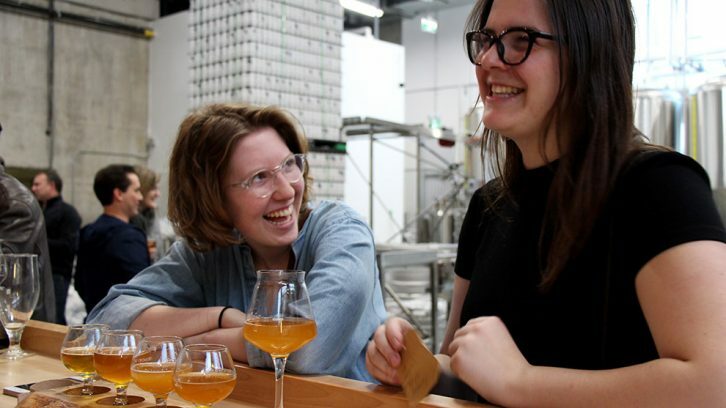 Taylor says he is pleased with how the space turned out, and he likes that he can interact with customers instantly and explain the brewing process to anyone who may be interested. 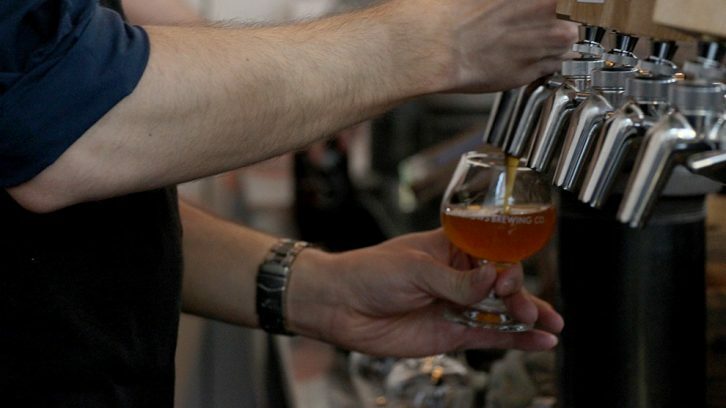 The brewery offers a small snack menu, but also encourages customers to bring in their lunch or order delivery to the tasting room, to accompany their beer. WOW good eye Ms. Johnson. i like the design of the top photo and the sense of fun in your people pix!